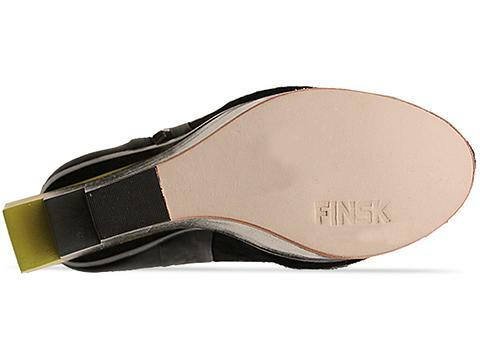 Today's So Shoe Me is the Project 8 by Finsk, $1000, available at Solestruck. 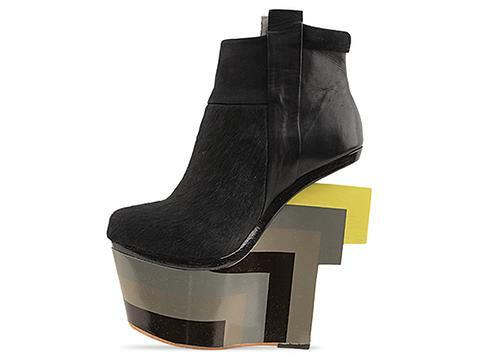 Levetate in geometric shapes with this elevated architectural wedge by Finsk. An on trend showstopper that mixes luxe textures, modern shapes and tonal hues for a bold boot that doubles as a work of art. A once in a lifetime splurge, this limited edition boot by Finsk is worth the investment and will remain in your closet (or displayed on your coffee table) for a lifetime and will offer a step up on your sole competition. The elevated architectural heel has cool strips of color in tonal taupes and a pop of citrine for a high shine edge that adds a futuristic twist to your favorite minimalist pieces. Pair these signature heels with a harness embellished dress and simple accessories to let these shoes shine at night. So Shoe Me a pair of architectural heels with a serious bite that will add a bold signature element to my next night out.